What happens when Jesus comes again? 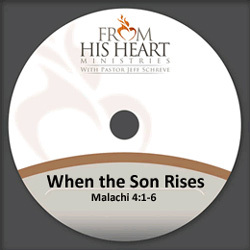 This message from Pastor Jeff on Malachi chapter 4 will be an eye-opening message on the judgment and tribulation for those who do not follow Christ. But for those who believe in Christ for their salvation, it will be a glorious day! Are YOU ready for the Son to rise?